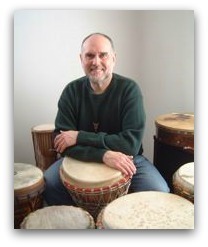 This entry was posted in Arts, Entertainment, People and tagged drum circles, Randy Brody. Abilis. Bookmark the permalink. Randy was a special special person. He really made a difference in people’s lives. Randy was a very special guy. 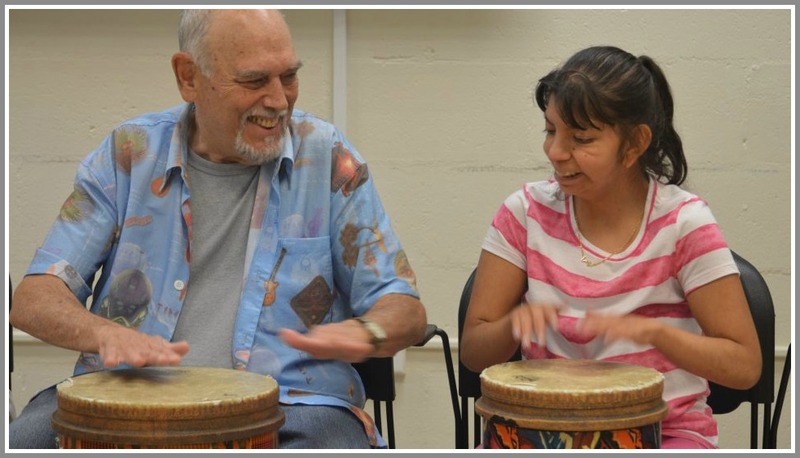 I had the opportunity to work with him a few times and one day ran into him at The Greens at Cannondale ( an assisted living facility in Wilton) where he had been facilitating a drumming circle with memory care residents. (Including my mother-in-law). 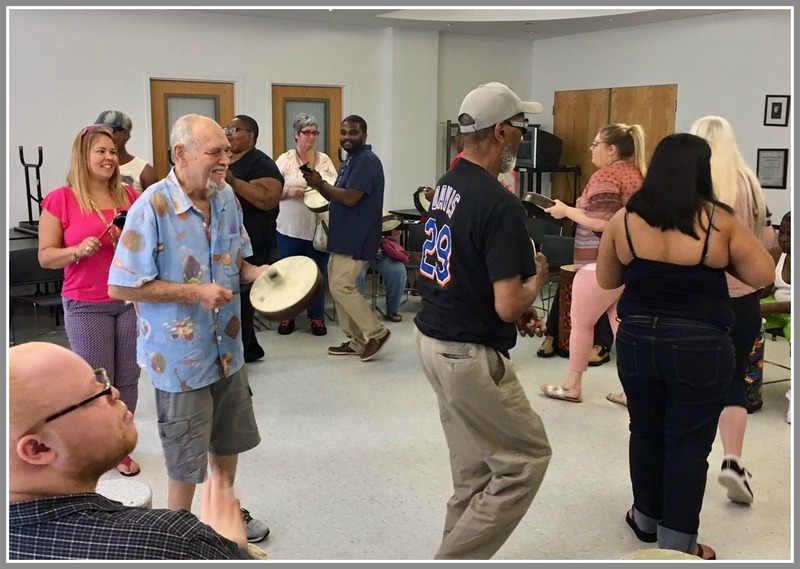 The light he brought to these residents was wonderful and the fact that he spent time there and was inspired by the residents’ enthusiastic response to drumming says a lot about his warmth and character. So sad and shocked by this news. Randy was such a kind and generous person. He had a beautiful soul and shared it with so many, far and wide. A very special man who will be missed by all who knew him. I’m so saddened to hear of Randy’s passing. He was such a treasure. I had him lead a drumming circle at the Aquarium decades ago as well as one at Sherwood Isl Beach about 8 years ago. I’d been in touch with him about finding an apartment last year or so. He was such a giver. God bless, Randy, and hopefully you’ll have all the angels dancing and drumming. Broke my heart hearing the news of Randy’s passing yesterday . He was a soulful, gentle spirit and a smile that lit up the room. I’ve been to several of his drummer circles and loved how he brought the community together through percussion. Great story Dan…he sounds like a wonderful person who found his niche and fulfilled his life….God bless. RIP Randy. I loved your big drumming circles in the fields by Calf Pasture Beach in the 80s and 90s. A very special guy. Remembering Randy at Winslow’s,years ago, his grooving to live jazz there, on a Friday night..
Ed Trains’ Thursday night Jam at Bobby Q’s in Norwalk will feature a drum circle as a tribute to our good friend Randy. Jam starts at 7:30 and drum circle expected to start at 8:30. Bring your drums and percussion instruments. Randy had a rough couple of years and had finally found peace in his new apartment. He was an inspiration to all who knew him. It’s hard to imagine Westport without Randy Brody. Even during tough times and challenges, of which Randy had many, he was always positive, upbeat, and grateful for the kindness and support of his community. He will be missed. Randy was a special person, very kind hearted, and generous. He will be greatly missed and never forgotten! R.I.P. Randy!